Verfasst von Gast am Sa, 06/28/2008 - 20:33. „スリランカの仏教王権 : アヌラーダプラ時代における王権とサンガ“ [The Buddhist kingship in Śrī Laṅkā : the kingship and the Saṅgha in the Anurādhapura period]. - In: インド哲学仏教学研究 [Indo tetsugaku bukkyōgaku kenkyū]. - 15 (2008), S. 71-84. The Vaijayantī of Yādavaprakāśa / for the first time ed. by Gustav Oppert. 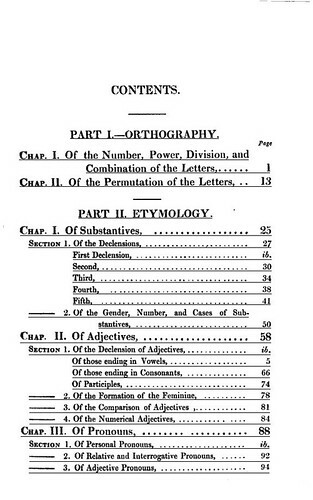 - Madras: Madras Sanskrit and Vernacular Text Publication Society, 1893. 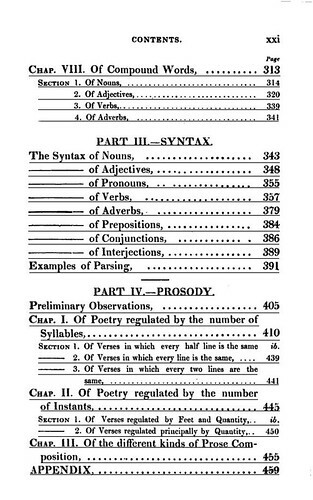 - x, 895 S.
Notiz: Von DLI (Digital Library of India) übernommen. Einige Seiten fehlen, Reproduktion nicht immer fehlerfrei. „Suttanipata対応句索引“ [An Index to Parallel Verses and Padas of the Suttanipata collected from Buddhist, Jain, and Brahmanical Texts]. - In: Bulletin of the Institute of Buddhist Culture, Tsurumi University. - 2 (1997), 1, S. 1-97. „A Comparative Study of the Mātaṅga-jātaka and its Jaina Version“. - In: Bulletin of the Institute of Buddhist Culture, Tsurumi University. - 12 (2007), 1, S. 1-57. „根本説一切有部律に引用されるMahādevasūtra : テクストおよび訳注“ [Two Tibetan Versions of the Mahādevasūtra restored from two quotations in the Bhaiṣajyavastu in the Mūlasarvāstivāda-vinaya: Tibetan texts with their annotated Japanese translations]. - In: 東洋文化研究所紀要 (Tōyō bunka kenkyūsho kiyō) = Memoirs of the Institute of Oriental Culture. - 152 (2007), S. 380-321 [japan. Zählung]. 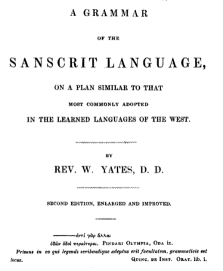 Dictionary, Hindustání and English / by W. Yates. - Calcutta : Baptist Mission Press, 1847. - iv, 589, 19 S.
A Bengálí grammar / by the late Rev. 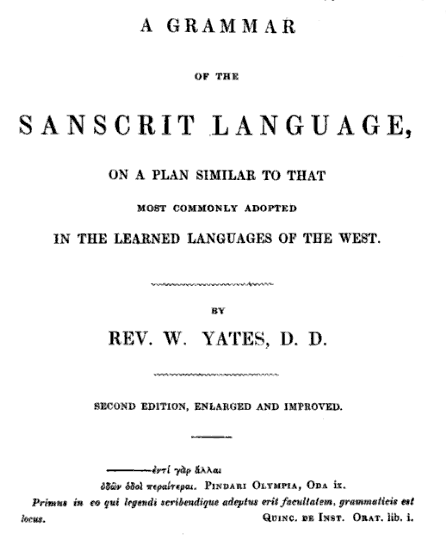 W. Yates. Ed. by J. Wenger. - Repr., with improvements, from his introduction to the Bengálí language. - Calcutta : Baptist Mission Press, 1849. - iv, 151 S.
Mémoire composé à l'époque de la grande dynastie T'ang sur les religieux éminents qui allèrent chercher la loi dans les pays d'occident / par I-tsing. Trad. en français par Édouard Chavannes. - Paris : Leroux, 1894. - XXI, 218 S.
The rise of the warrior Goddess in ancient India : a study of the myth cycle of Kauśikī-Vindhyavāsinī in the Skandapurāṇa / Proefschrift ... door Yuko Yokochi ... - Groningen, 2005. - x, 361 S.
Notiz: Einheitssachtitel des behandelten Werks: Skandapurāṇa. „Raṅ gi mtshan ñid kyis grub pa について (1)“ (Raṅ gi mtshan ñid kyis grub pa ni tsuite (1)). - In: 成田山仏教研究所紀要 (Naritasan bukkyō kenkyūsho kiyō). 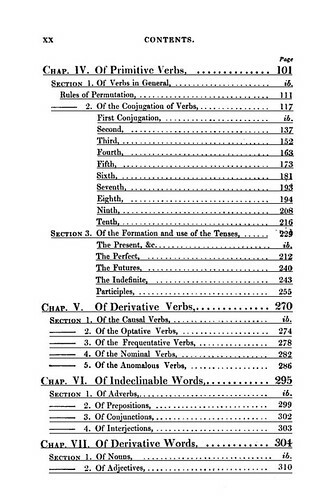 - 15 (1992), S. 609-656. „On raṅ gi mtshan ñid kyis grub pa III : Introduction and Section 1“. - In: 成田山仏教研究所紀要 (Naritasan bukkyō kenkyūsho kiyō). - 16 (1993), S. 91-148. „On raṅ gi mtshan ñid kyis grub pa III : Section 2 and 3“. - In: 成田山仏教研究所紀要. - (Naritasan bukkyō kenkyūsho kiyō). - 17 (1994), S. 295-354. „SaṃdhinirmocanasūtraXにおける四種のyuktiについて“. - In: 成田山仏教研究所紀要 (Naritasan bukkyō kenkyūsho kiyō). - 19 (1996), 123-168. „Upādāyaprajñaptiについて Mūlamadhyamakakārikā XXIV18を考える“. - In: 成田山仏教研究所紀要 (Naritasan bukkyō kenkyūsho kiyō). - 20 (1997), S. 95-156. „古代アーユルヴェーダの終末期医療“ [End-of-life Care in Ancient Āyurvedic Medicine]. - In: インド哲学仏教学研究 [Indo tetsugaku bukkyōgaku kenkyū]. - 15 (2008), S. 57-70.